There is definitely something brewing over at Akashi behind closed doors and in utmost secrecy, yet peering eyes and eavesdropping seem to be able to bring new rumors as to what we could expect from the new generation of Ninja ZX-10R machines. The latest rumor arrives from one of out fav spy-friendly magazines, Japan's Young Machine. 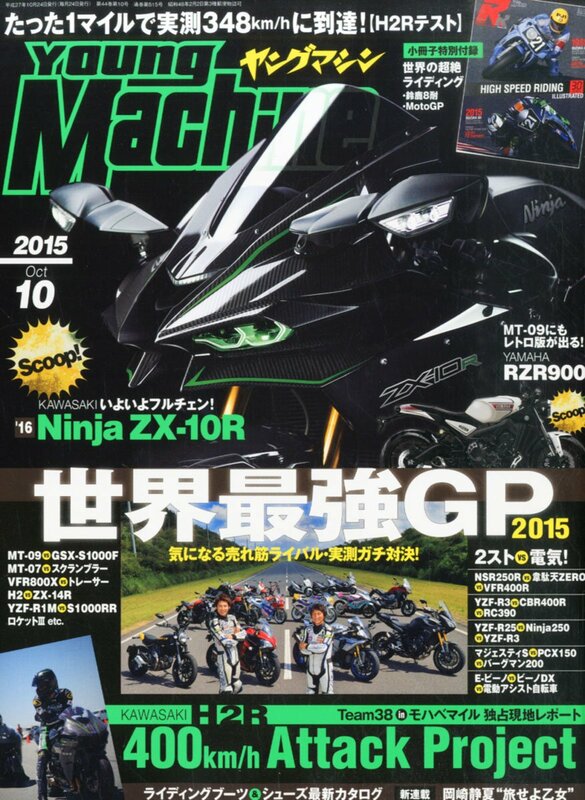 Dubbed a "scoop", the cover shows what we are told that might be the upcoming Ninja ZX-10R. The machine depicted in the photo is impossible to mistake, as we are looking at a bike that looks almost identical to the Ninja H2 supercharged beast. 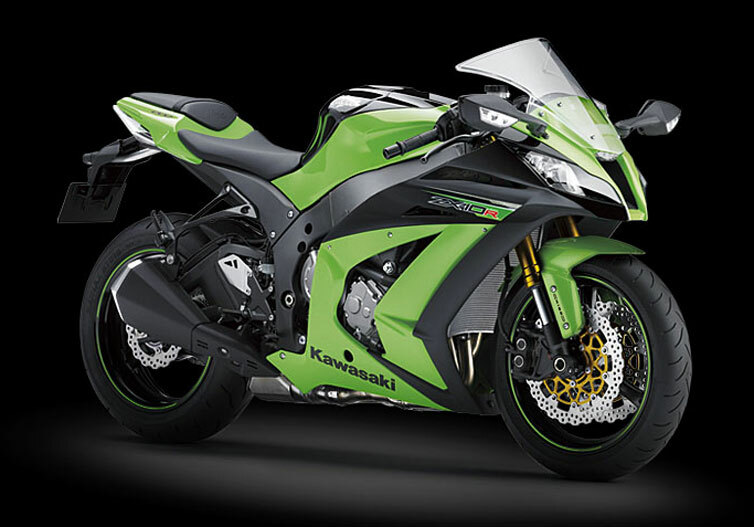 Whether Kawasaki is indeed planning to use the looks of their supercharged beasts to revamp the entire Ninja series is yet unknown, but something tells us they just might. After all, we already saw some of the design cues being used in the new Versys machines. The new Kawasaki adventure bikes have front cowls with small winglets that are very similar to those introduced by the Ninja H2 and H2R. The bike pictured on the cover of Young Machine shows a carbon fiber front cowl, and we doubt the mass-produced superbike will be anything like it. Still, the materials used are of a lesser importance when compared to how the overall styling of the bike will be. If anything, ZX-10R, ZX-6R and even the Ninja 300 adopting the H2 styling would make a great selling point and a most welcome new direction for the Akashi sport machines. While we are left to wait and see how the new generation of Ninja ZX-R machines will look like, the high-performance department is envisaging breaking new records. According to the same magazine, Team 38 is planning to take a shot at the 400 km/h (248.6 mph) bar. The might of the H2R has already been tested at the Mojave mile earlier this month, but official info is yet to surface.